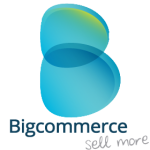 Click the link below to be taken to our exclusive Bigcommerce landing page. Here you can download your FREE 15-day trial. This is a completely risk free signup with no credit card details required. Simply start by choosing your own store name!